Believe it or not, Toronto had its fair share of complex issues before Ford became Premier. Here are some major issues we should expect to continue into 2019. For residents of Toronto make progress on our most pressing issues, we need to have a long memory. If you don’t recall much before the summer, I don’t blame you. Doug Ford was elected in June and the provincial government began the process to slash Toronto City Council in late July. That controversy sucked the air out of the election campaign and residents and media continue to consider the far-reaching implications of this change. Believe it or not, Toronto had its fair share of complex issues before Ford became Premier. Looking back on 2018 helped me remember those issues and they're a major reason why Central was launched around that time. This is what City Council chamber looks like with 44 councillors and a budget to debate. The slash to Toronto city council is getting real. On Nov. 28, City staff released their recommendations for how 25 city councillors will fill the hundreds positions on community councils, executive committee, standing committees and city boards. They used to have 44 people to split up that work up. On the Mayor’s powerful executive committee, the number of members is recommended to be reduced from 13 to 8. Under the 13-member system, the Mayor appoints all but 4 of these seats. Though it may be only 1 or 2 votes at this committee, it ultimately means more power for the Mayor to dictate council agenda and priorities. Everyone knows that Doug Ford wants to be Mayor of Toronto. From the Premier’s office, he can do jump into municipal politics whenever he likes without even attending his normal 47% of council meetings. Ford has maintained that he wants to upload Toronto’s subway to the province and utilize that power to continue to expand the subway farther north into Toronto’s neighbouring cities. Central 2018 speaker Tricia Wood considered the implications of this in an excellent column for Torontoist early in 2019. TLDR: You just can’t funnel any more people into the Yonge line. His unilateral plans became even more plain since he sold the 72-hectare Hearn hydroelectric station on Toronto’s eastern waterfront without consulting Toronto city council. But the hits just keep on coming. The Ontario government has already removed the corporation and public board that manages Ontario Place. Ford hasn’t yet revealed his plans for the location. While on Toronto city council, he and his brother Rob raised the ideas of a casino, a ferris wheel and monorail. 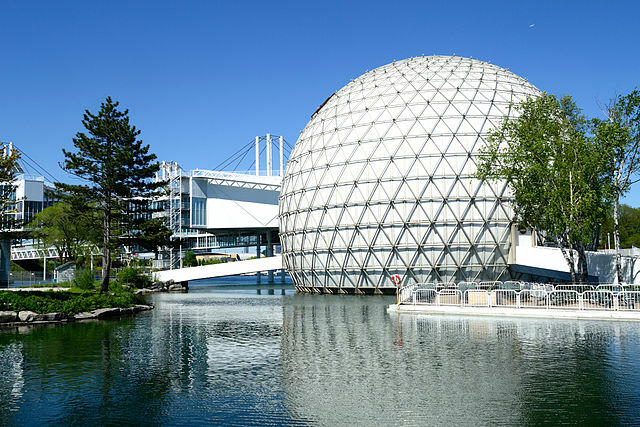 Toronto city council is demanding extensive public consultations for any plans to change the site, but only Doug knows what’s really in store for Ontario Place. Will 2018 Shelter Crisis Repeat? Way back at the start of 2018, temperatures were hitting lows of -25 and Toronto’s shelters were beyond capacity as homeless men, women and children looked to get out of the cold. It’s like the city of Toronto couldn’t predict winter. During that freezing time, the federal, provincial and municipal governments spent days negotiating what sites could be opened to accommodate the demand including the Moss Park Armoury and Fort York. The city itself opened additional sites at Metro Hall and the Regent Park Community Centre. Will it happen again in January and February 2019? 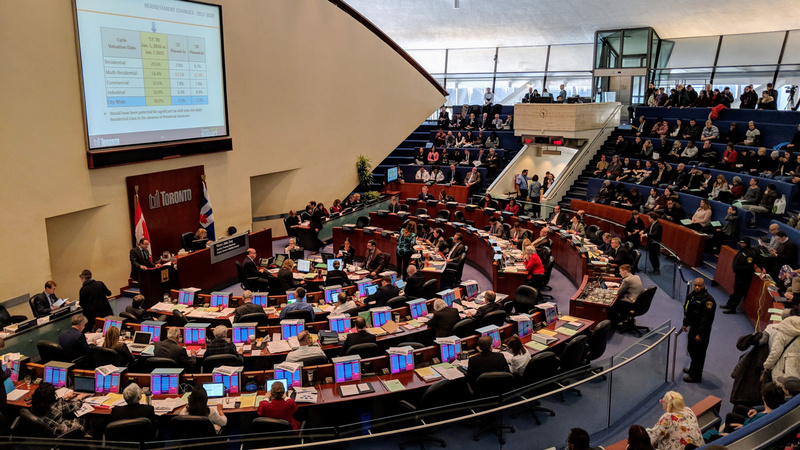 To their credit, city council passed motions during the 2019 budget debates to make the city better prepared for 2019. That translated into three new prefabricated respite centres that could accommodate up to 600 people with the first site is scheduled to open on Dec. 15. The two others will miss a big chunk of the coldest days of winter and open on Jan. 31. Again looking back to January, dangerous overcrowding was plainly visible at Toronto’s most popular subway connections. Photos from the ordeal shows continuous crowds of people waiting with toes near the edge of the platforms at Bloor/Yonge and St. George. The TTC stated a myriad of reasons why wait times for the subway were particularly egregious on Jan. 30, 2018: Track repairs taking longer than usual; smoke on a train car; poor planning for train car storage; jammed door and emergency alarms. Torontonians’ calm demeanour and normalization of delayed and crowded daily commutes made the day just another war story. Though planning and environmental work has begun the downtown relief line and the current timeline has it opening between 2028 and 2031, the Doug Ford administration has recently cast doubt on whether it would make the project its top transit priority.